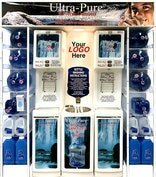 Dyna-Pro Environmental manufactures Ultra-Pure™ and Ultra-Plus™ reverse osmosis purified water dispensing systems, bottle-less water coolers and refillable-bottle washer/sanitization stations for self-serve purified water consumers. 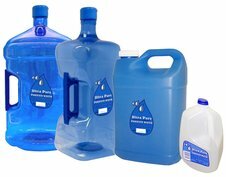 We are also a leading manufacturer and distributor of residential, commercial/industrial and retail water purification equipment. At Dyna-Pro Environmental, we take our role as an environmentally and safety conscious manufacturer very seriously, and as such we stand behind our products and services. As one of Canada's leading manufacturers of water purification equipment, Dyna-Pro Environmental is a fast-growing company always looking for new and talented employees to join our team. Check-out a new, easy way to conveniently submit your meter reads & Service Requests! The rest of our-site continues to be worked-on and will be up and running this summer!